University City enters 2019 on the wings of perhaps our most transformative year in two decades. The Charlotte Observer and WSOC-TV recently reported that 2019 will bring even more advances. 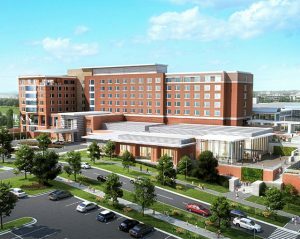 New housing, retail services, an entertainment district and a UNC Charlotte-focused hotel and conference center are all in the works, say the media outlets. Entertainment District and Topgolf – Topgolf, a 14.2-acre golf-focused facility, is expected to anchor a large entertainment district near the University City Boulevard Transit Station. Armored Cow Brewery – University City’s first brewery is under development along JW Clay Boulevard at University Place. New Barton Creek Greenway – Mecklenburg County has started work on Barton Creek Greenway. The short greenway will link University Place to the extensive Mallard Creek – Clark’s Creek – Toby Creek greenway network.